China landed a probe (Chang’e-4) on the far side of the Moon on January 3, 2019. This was the first soft landing on the far side. Another first was a mini biosphere experiment. 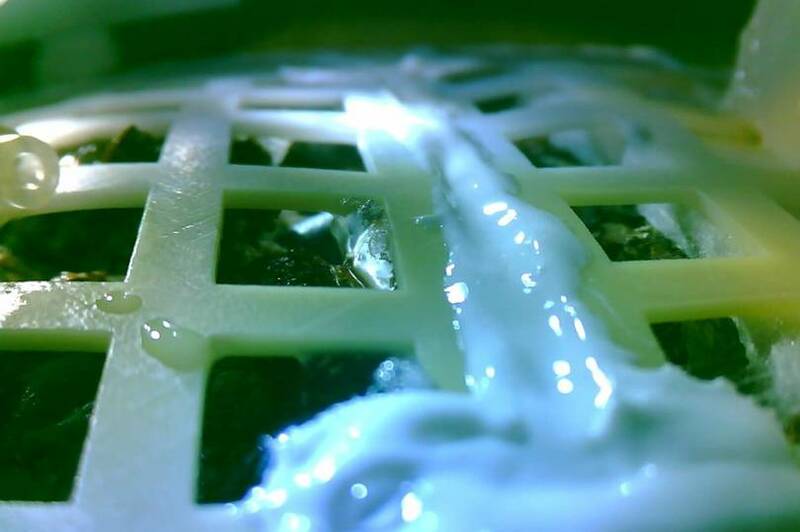 A canister installed on the lander of the Chang’e-4 probe contained the seeds of cotton, rapeseed, potato and Arabidopsis, as well as eggs of the fruit fly and some yeast, to form a simple mini biosphere. The cylinder canister is small (198 mm tall, with a diameter of 173 mm and a weight of 2.6 kg). It holds water, soil, air, two small cameras and a heat control system. After the landing, the ground control center instructed the probe to water the plants to start the growing process. A tube directs natural light on the surface of the moon into the canister to allow the plants to grow . Remarkably, after 1 week, the cotton seeds sprouted. By that time the lunar night was about to descend on the far side of the Moon. The little sprouts did not survive the lunar night. A lunar night is approximately 2 Earth weeks, and a lunar day is the same length. Between lunar day and lunar night lasting 2 Earth weeks each, temperatures differ greatly because there is no atmosphere to regulate the temperature. During the lunar day surface temperatures can be as high as 120 degrees Celcius (248 degrees Fahrenheit). During the lunar night surface temperatures could be a low as -170 degrees Celcius (-274 degrees Fahrenheit). Chang’e-4 probe will measure the temperatures and we will know more about the temperature differences between lunar days and nights. Moon spins around it’s axis in 27.3 days and completes a revolution around the Earth with respect to fixed stars in 27.3 days as well. These periods are equal. This is why the far side of the Moon can never be seen from Earth. The term “dark side of the Moon” is a misnomer because the far side of the Moon experiences lunar days and lunar nights just like the near side of the Moon. The synodic (as seen from Earth) period of the Moon (29.5 Earth days) is longer than the sidereal period of the Moon (27.3 Earth days). The sidereal period of the Moon refers to its spin period as well as its revolution period around the Earth (these periods are equal in the case of the Moon). Since the Earth is moving in its orbit around the Sun while the Moon is revolving around the Earth it takes the moon little more time to show the same phase of the light towards Earth. This is why the synodic period is longer. Regarding the spin period of the Moon being equal to the period of the Moon around the Earth, this was not always the case. In the distant past, the Moon was spinning faster. The gravitational interaction between the Earth and the Moon slowed down the spinning rate of the Moon as well as the Earth and the current phase-locked situation emerged. This entry was posted in science and tagged lunar night, Moon. Bookmark the permalink.